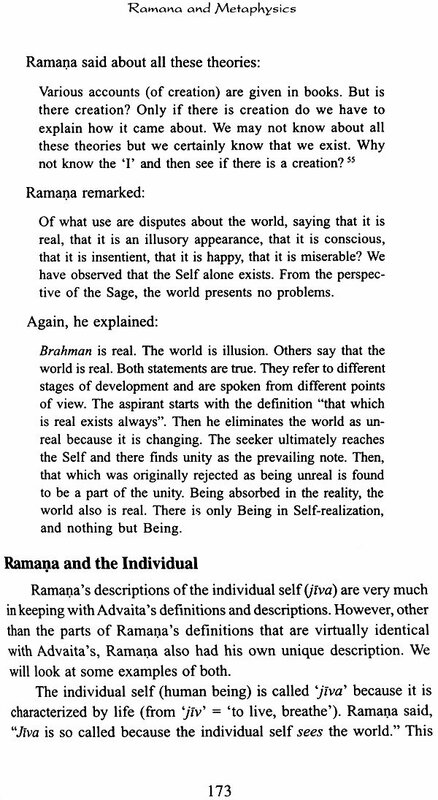 Ramana has often been described as an incarnation of Advaita. 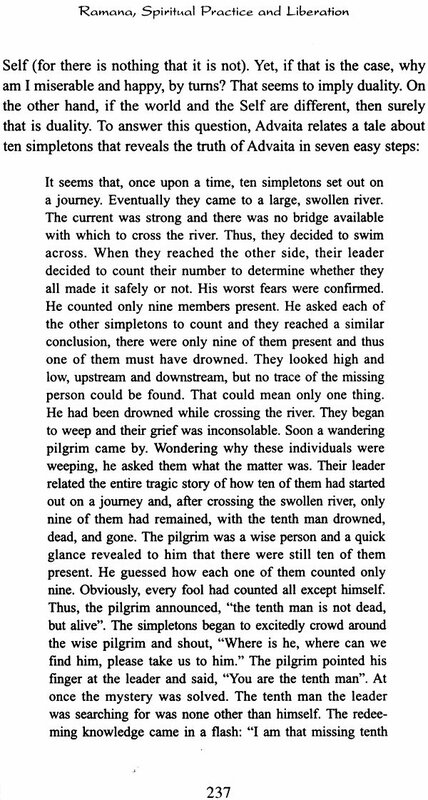 The description is an intriguing philosophical oxymoron as the thunderous truth of Advaita boldly declares that no one has ever been born lived or died and yet it is without doubt an astonishingly powerful image in conveying the profound affinity that exists between the teachings of Advaita and Ramana. As one passes the philosophically relevant portions or Ramana’s life and teachings through the lens of Advaita they will be seen to be in perfect accordance with the essence of Advaita’s philosophical teachings. 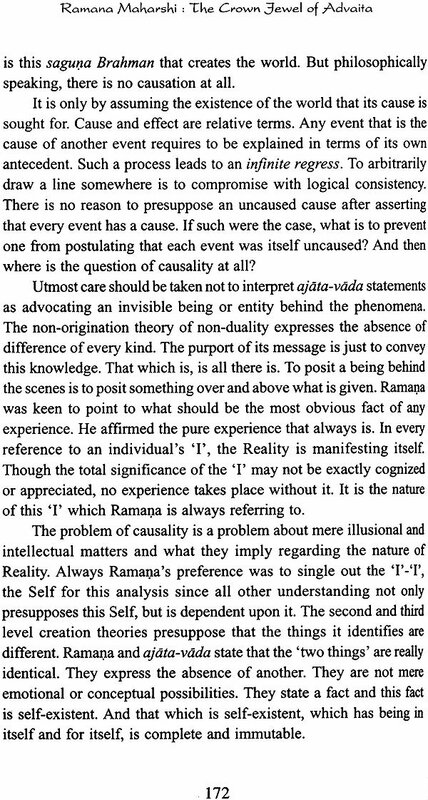 What is all the more astonishing is that Ramana’s teachings emerged spontaneously as the fruit of his sudden great awakening and only subsequently almost by accident did he learn of the ancient Upanisadic and Advaitic teachings. 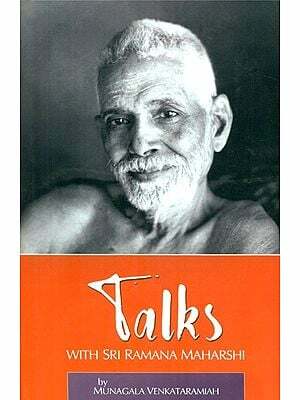 This book is an attempt to view to see the life and teachings of Bhagavan Sri Ramana Maharsi through the lens of the philosophical system known as Advaita Vedanta. 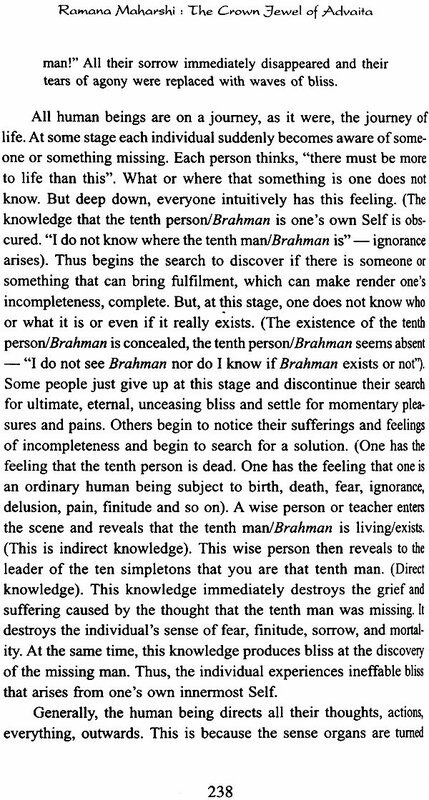 Not only does the word darsan mean being in the presence of a sage or deity but it is also the nearest equivalent Sanskrit word for philosophy Darsana from the Sanskrit root drs meaning to see implies not only vision (which includes insight intuition and vision of the truth) but also the instrument of vision (Such as viewpoint worldview, doctrine, philosophical system). John Grimes received his B.A. in religious studies from the University of California at Santa Barbara and his M.A and Ph.D in Indian Philosophy from the University of Madras. He has taught at universities in the United States, Canada, Singapore and India. His book publications include the Vivekacudamani sankara’s crown Jewel of Discrimination A concise dictionary of Indian philosophy ganapati song of the self problems and perspectives in religious discourse Advaita Vedanta Implications sapta vidha Anupapatti the seven great untenable sankara and Heidegger being, Truth, Freedom and the Naiskarmyasiddhi of Suresvara. He currently spends his time writing and traveling between California and Chennai. I attended the Radhakrishnan Institute for advanced study in philosophy as a MA and PhD student some thirty years ago (1978-1985). I went there fro a number of reasons. I had a deep and abiding interest in Advaita Vedanta philosophy and the RIASP had a glowing reputation as an advanced study centre specializing in Advaita philosophy. Beginning with Suryanarayana Sastri and Continuing through T.M.P Mahadevan, R. Balasubramanian and P.K. Sundaram one cannot imagine the depth of knowledge and immense joy that was mine studying there. 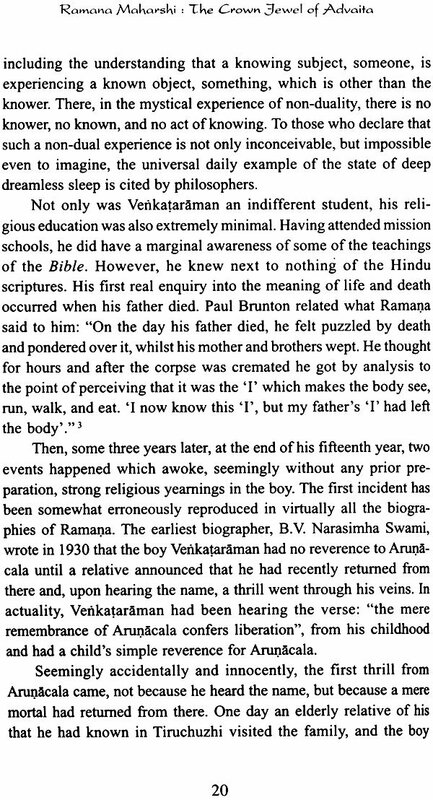 Secondly partly due to its location and partly due to the interests and devotion of these professors to Advaita there was an intimate connection between the institute Ramana and the Ramansaramam and the Paramacarya Sri Candraskerendra Sarasvati and the Kanci Matha. 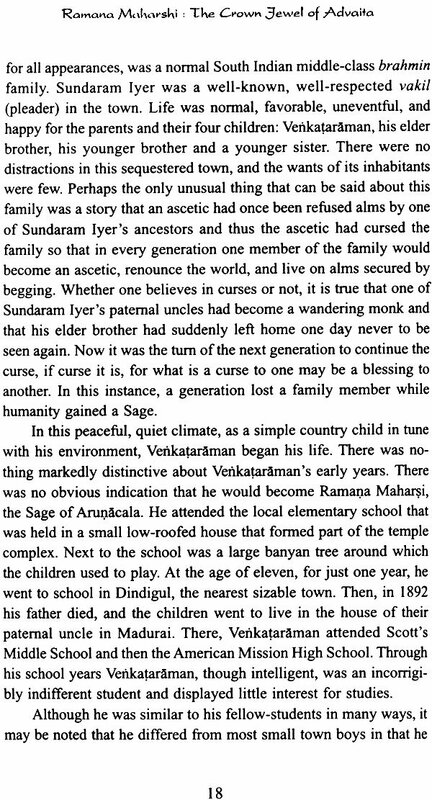 Just an hour or two down the road and one was in there citadels of Advaita. 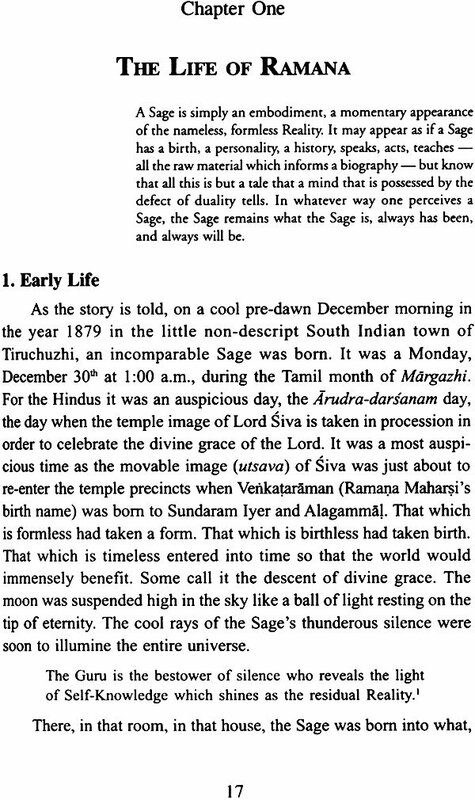 As well I appear to have had the latent impressions to pursue Advaita at the Institute and the final impetus came in 1977 when following the suggestion of an Indian sage I entered the Radhakrishnan institute for advanced study in philosophy University of Madras. 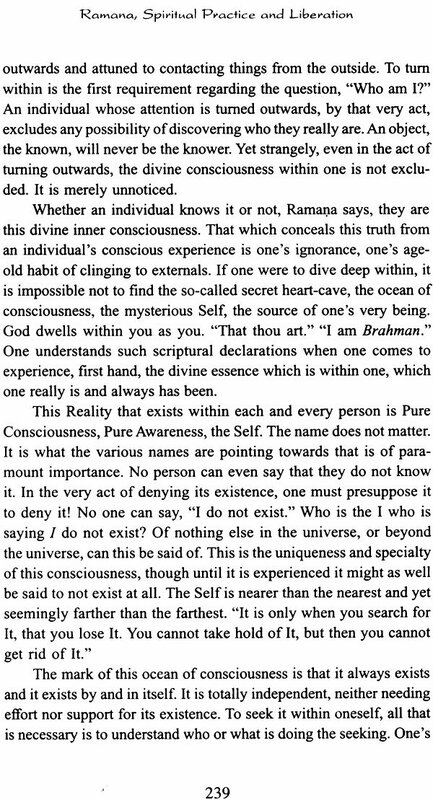 Ramana has often been called an Advaitin’s Advaitin. He has been praised as one of the greatest living embodiments of Advaita Vedanta as great as the greatest of that illustrious described as an incarnation of Advaita. 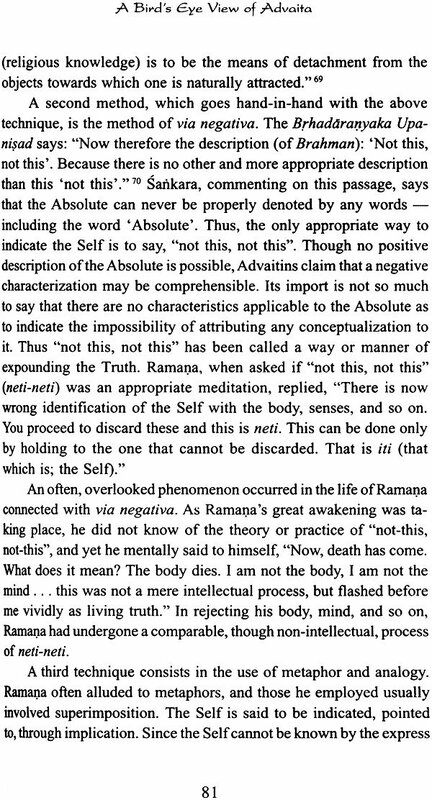 The description is an intriguing philosophical oxymoron as the thunderous truth of Advaita boldly declares that no one has ever been born lived or died and yet it is without doubt and astonishingly powerful image in conveying the profound affinity that exists between the teachings of Advaita and Ramana. 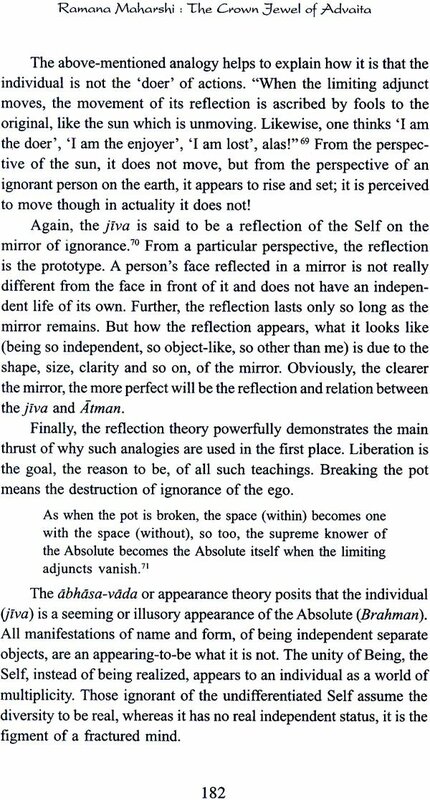 As one passes the philosophically relevant portions of Ramana’s teaching through the lens of Advaita they will be seen to be in perfect accordance with the essence of Advaita’s philosophical teachings. 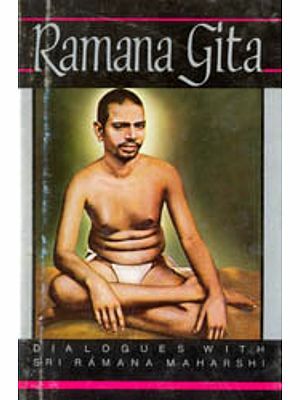 What is all the more astonishing is that Ramana’s teachings emerged spontaneously as the fruit of his sudden great awakening and only subsequently almost by accident did he learn of the ancient Upanisadic and Advaitic teachings. 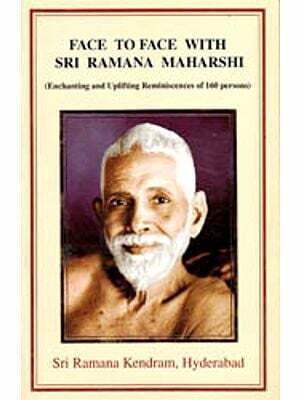 This book is an attempt to view to see the life and teachings of Bhagavan Sri Ramana Maharsi through the lens of the Philosophical system known as Advaita Vedanta. Replying to a question from a visitor to Sri Ramanasramam Ramana Said. To have darsan of a sage is sure to bring good to you. Thousands of people pass by Tiruvannamali in trains every day but few alight here and fewer still visit the asrama. About darsan of and association with a sage the scriptures say that it is a vessel that enables you to cross the vast ocean of birth and death what more benefit do you want?. 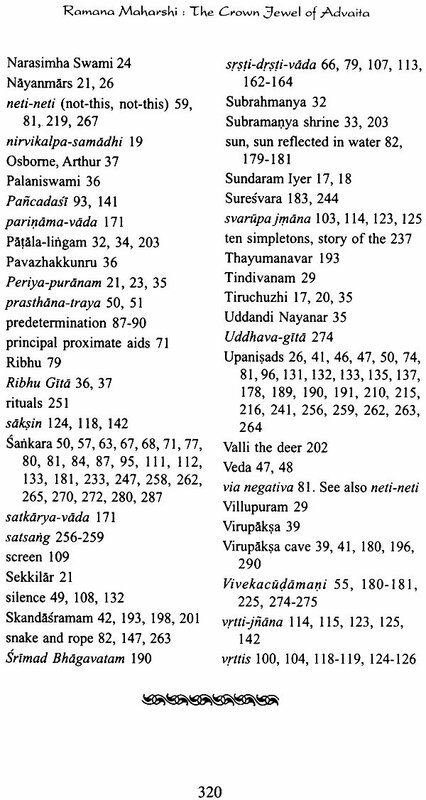 Not only does the word darsan mean being in the presence of a sage or deity but it is also the nearest equivalent Sanskrit world for philosophy Darsana from the Sanskrit root drs meaning to see implies not only vision but also the instrument of vision (such as view point, worldview, doctrine, philosophical system). 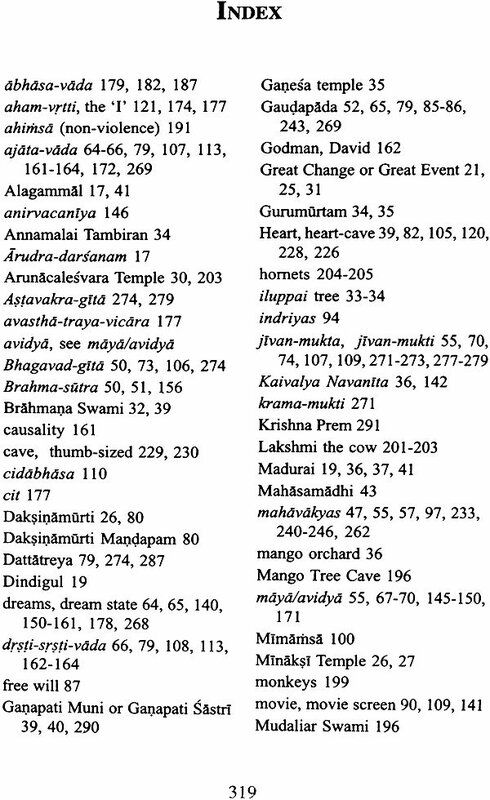 In a word darsana implies sight in all its myriad connotations and the term. Thus besides expressing viewpoints or perspectives the term also suggests the idea of right vision or realization. 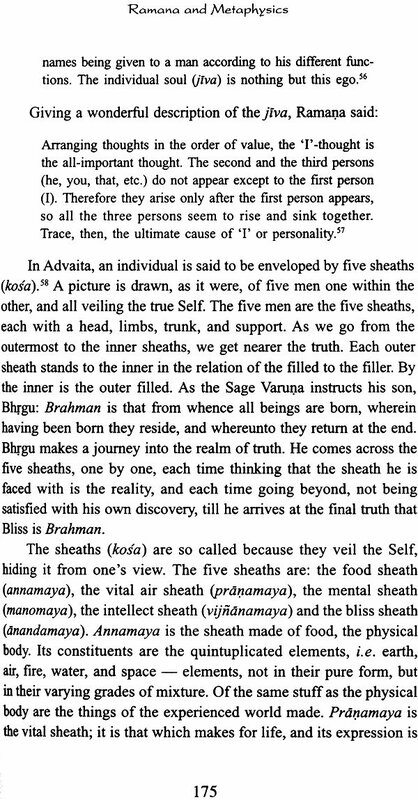 The former meaning customarily refers to the six great orthodox Indian philosophical systems. Here it is not so much a search for the truth as it is an exposition, elaboration, clarification, vindication and conceptual fixation of what has been received. 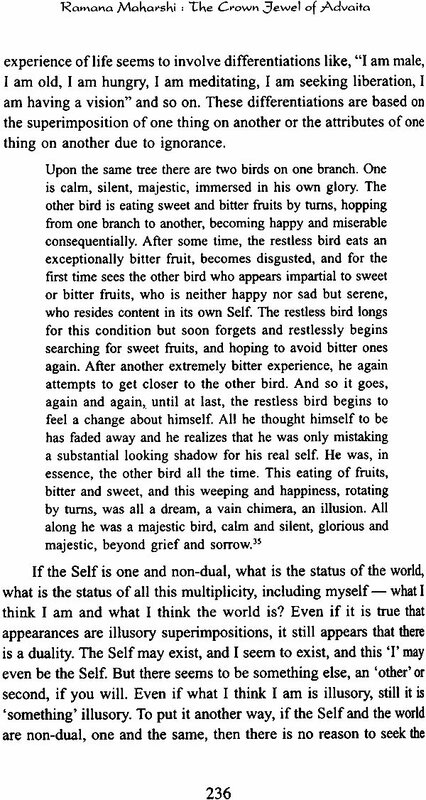 The latter meaning on the other had refers to the person experiencing a vision of or insight. In this case it is direct personal and experiential. In other ceptual knowledge and perceptual observation critical exposition and intuitional experience logical enquiry and spiritual insight concrete and abstract gross and subtle. The English expression I see contains a hint of this multi valence in that is denotes both a direct vision as well as a correct understanding. Darsana as a systematic elaboration of the truth encompasses fundamental interpretations of reality more commonly known as the classical philosophical systems. In this technical sense the term embraces the different streams of philosophical thought running parallel to one another and which were engaged in mutual dialogue discussions debate criticism and counter criticism for the past two thousand years. Thus the word darsan is rich with meaning. To study understand interpret and continue the scholarship of the Indian darsana it is imperative that one realize that it holistically both implies thinking and living theory and practice an ancient continuous and seamless tradition. It has been able to combine in an almost unique manner conformity to tradition with an adventures enquiring mind. 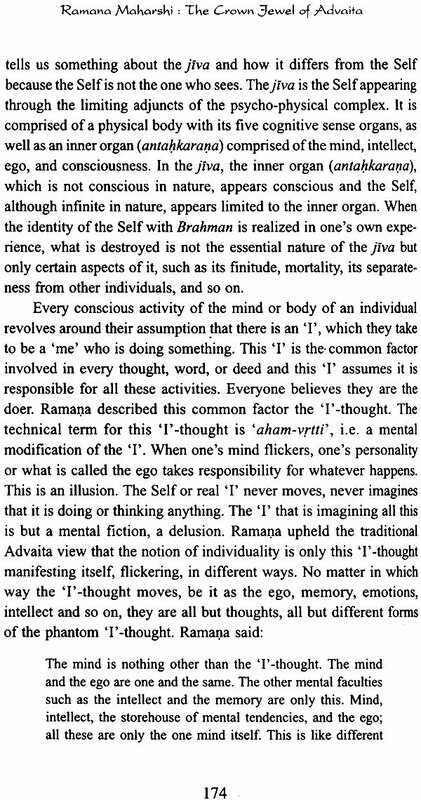 I cannot express in words my heart felt gratitude to Professor R. Balasubramanian for suggesting that I should write a book on Ramana and philosophy joy that comes from reading reflecting and reveling in Ramana’s teachings. Truly this is satsang. Further I couldn’t have written this book without having been a student all those years under R. Balasubramanian and the RIASP. 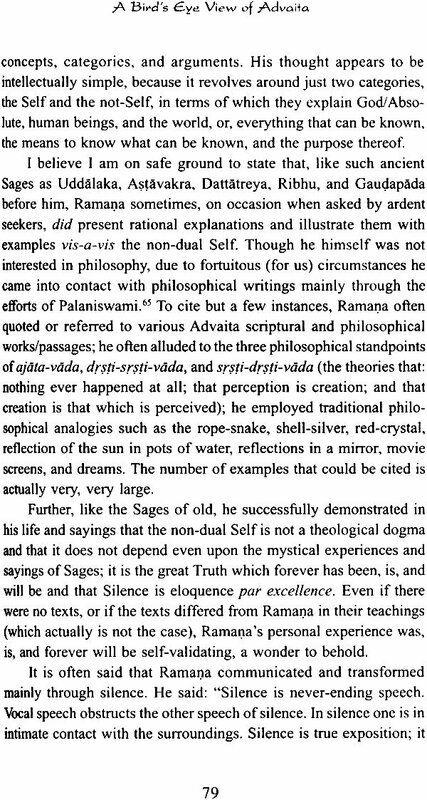 Though I have studied Advaita for many, many years I am really not competent to write about a sage such as Ramana. This is not mere lip service. As has often been said only a mukta can truly understand another mukta. All else s but intellectual gymnastics. This being said I have done my best and I pray that Ramana as well as the reader will forgive whatever blemishes appear in this work. They are all traceable to my own personal limitations for which I sincerely implore your and Ramana’s pardon. I am so immensely thankful to Chris Quilkey editor of the Mountain path at Ramanasarnam for providing me with materials on the life and teachings of Ramana. They made my work so much easier. Only a research scholar can truly know how invaluable his help was. I must also offer my gratitude to Arthur Osborne and David godman for their selfless service in providing topical collections of exemplary conversations Ramana had with spiritual seekers. 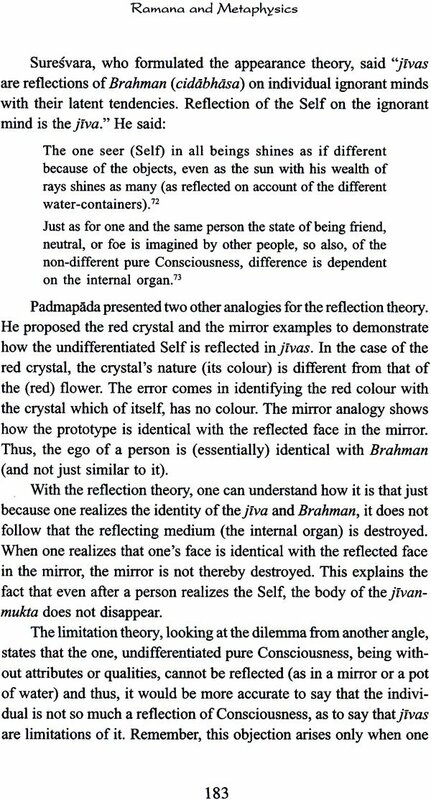 Finally I want to thank martin Wolff for helping to proofread the manuscript and for making valuable suggestion and the president of Sri Ramanasarnam for his permission to reproduce photos of Bhagavan.